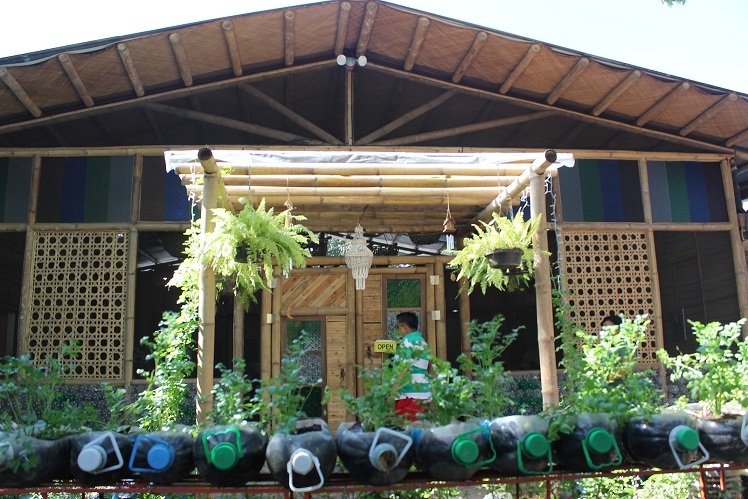 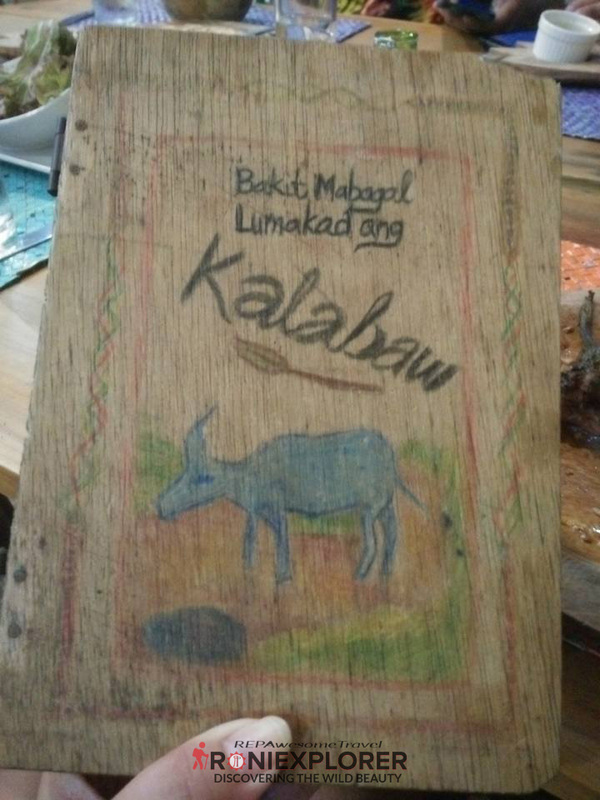 Every single thing from BALIK BUKID come after the concept of natural organic farming and sustainable living. 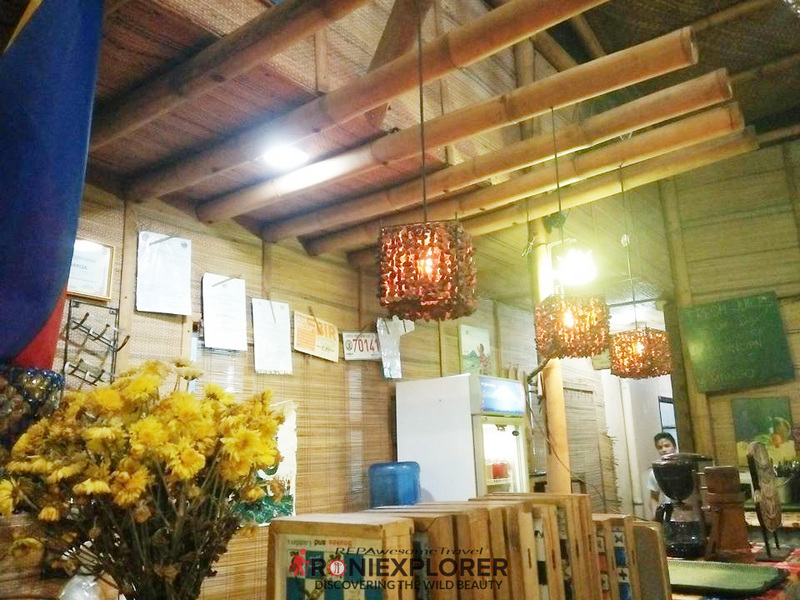 The walls of the restaurant are made up of recycled plastic bottles drawn together and the furniture and fixture describes rural living. 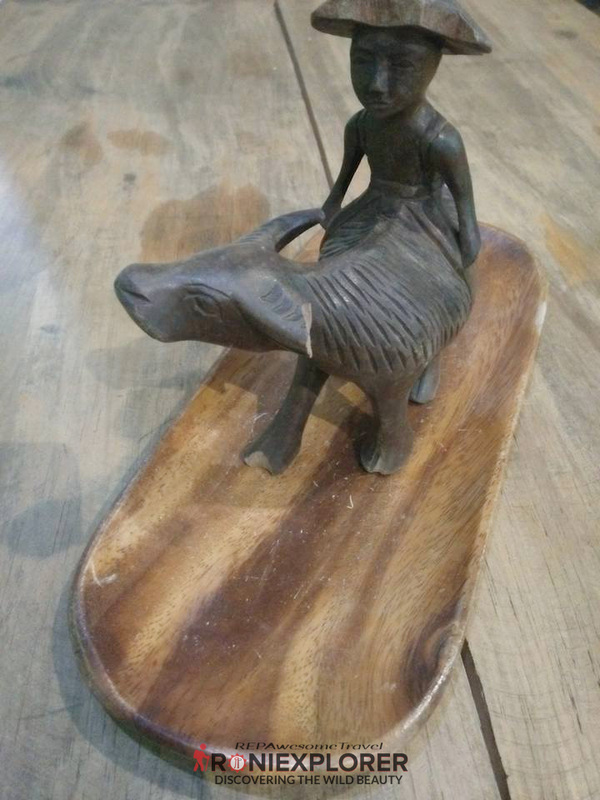 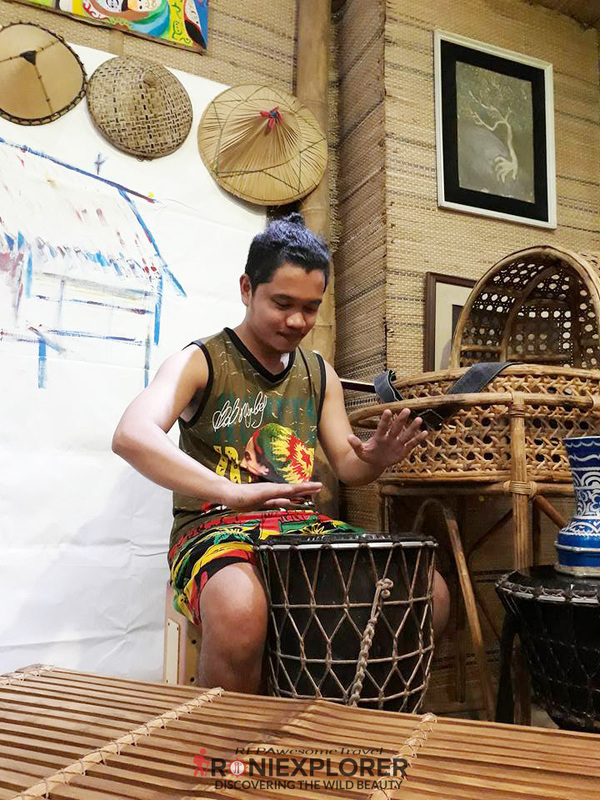 While waiting for your order, you can play sungka (a native game played with pebbles and a pit-carved wooden board.) 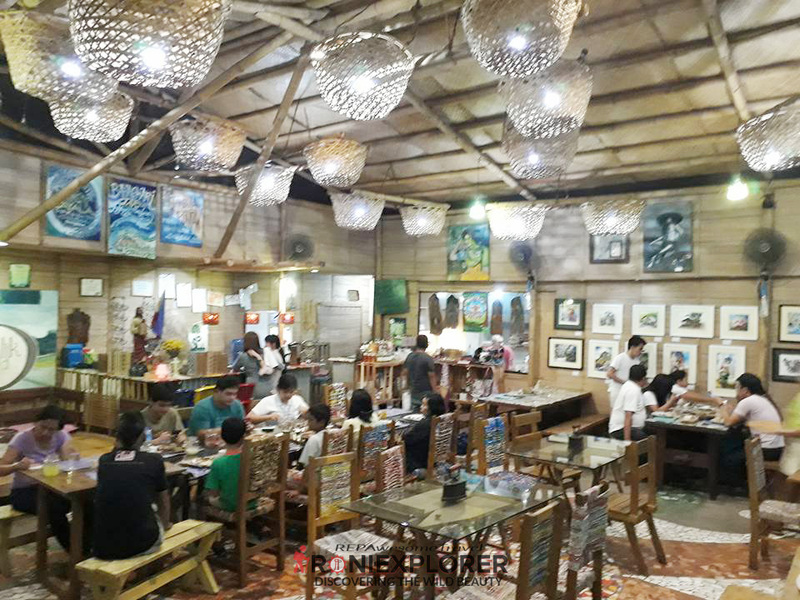 or walk around and take some selfies with their beautifully-made art sculpture and paintings or even just the place itself. 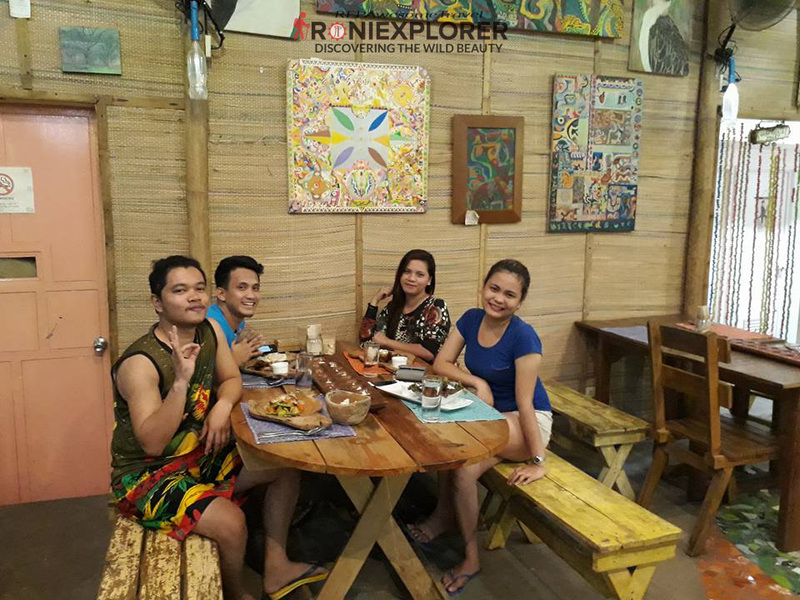 The unique native design of the place will surely bring you back to the simple and peaceful life in province. 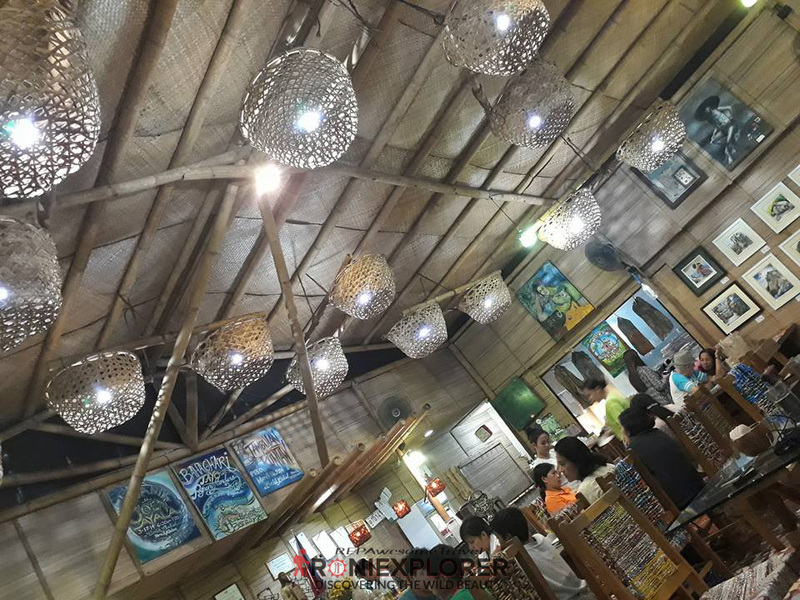 They also have a band that plays local music which complements the concept of the place. 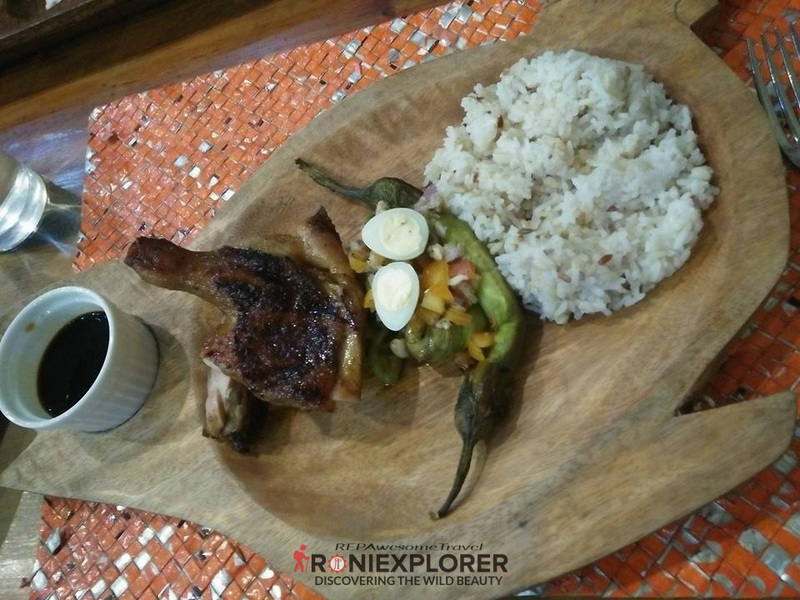 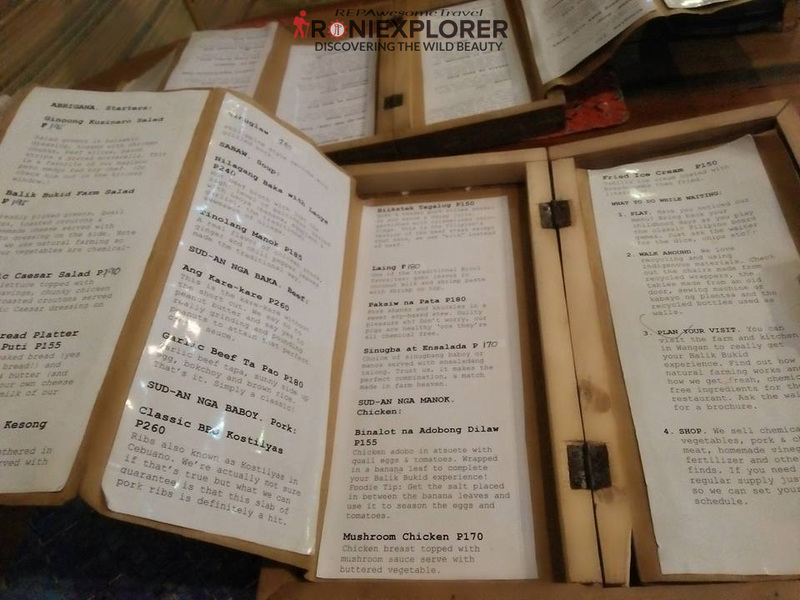 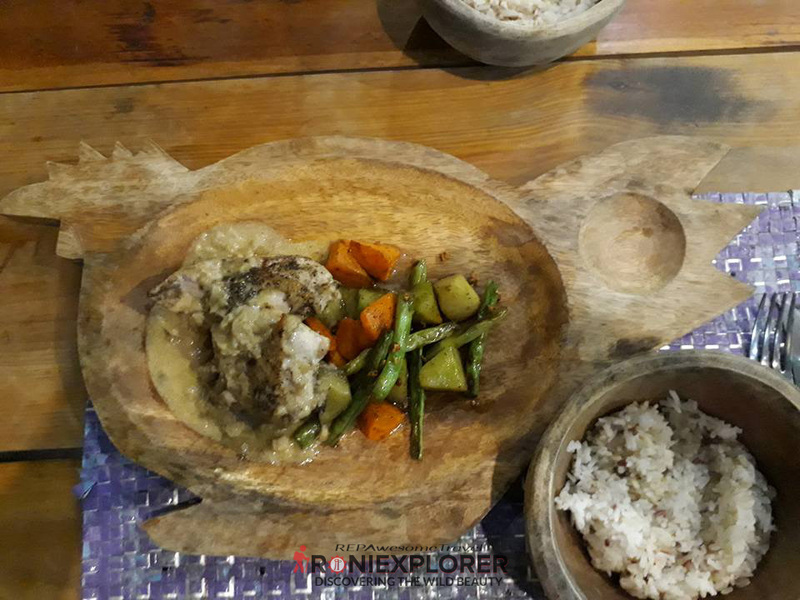 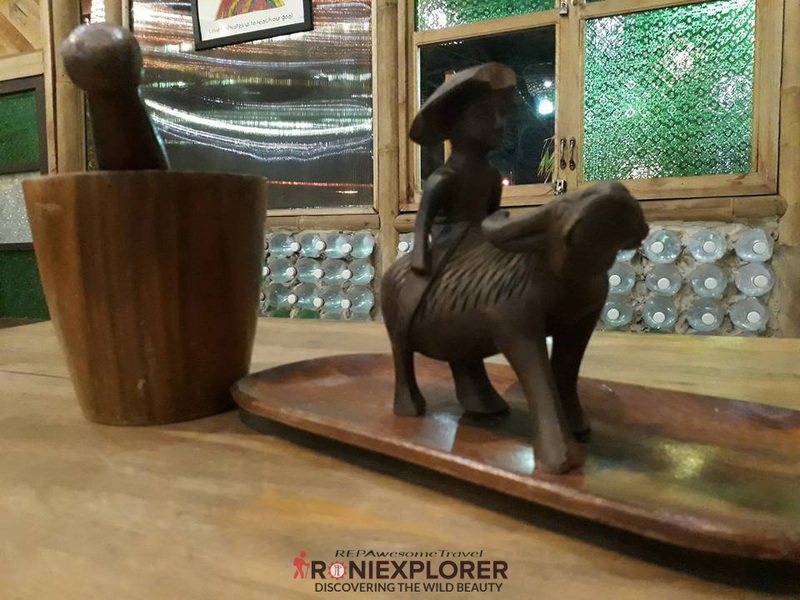 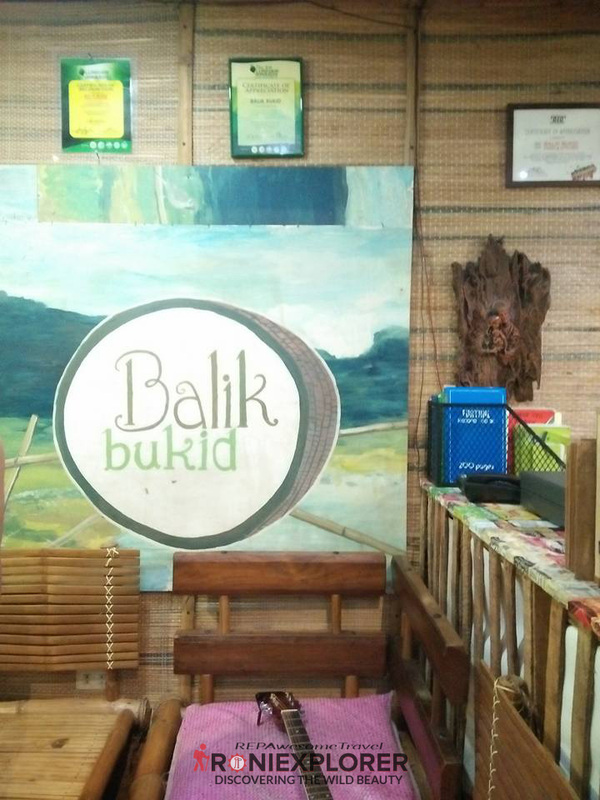 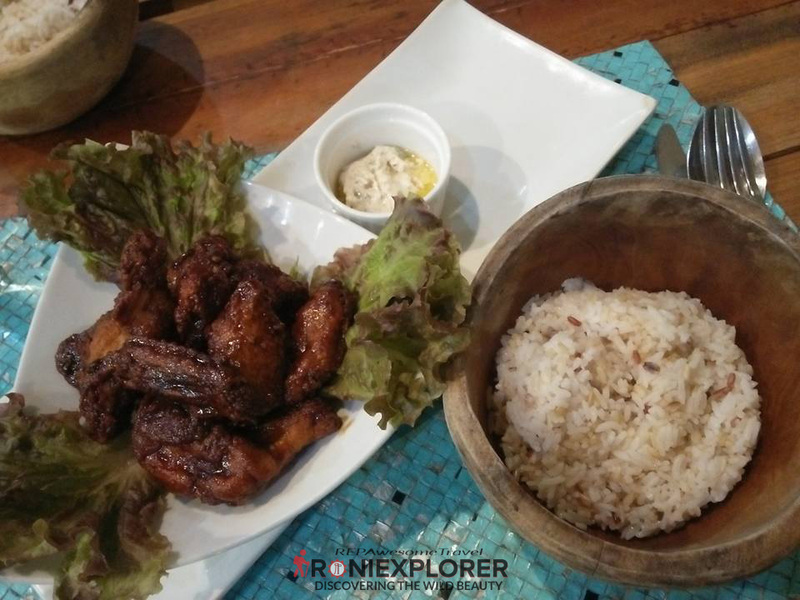 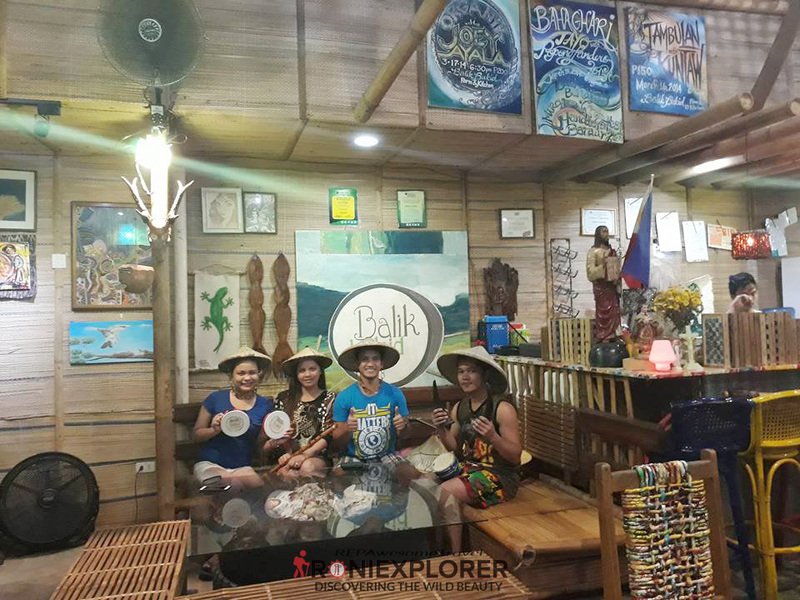 Balik Bukid Farm & Kitchen is definitely a great place to visit to relax and dine with your family and friends.